We begin our story of Irish history with Ancient Ireland which dates back to approximately 10,500 BC, the Palaeolithic period. We’ll take a look at who were the people of Ancient Ireland and they came to arrive in different waves, bring with them new methods of hunting, farming, house building and even burial methods. Who were the people of Ancient Ireland? The ancient fragments of brown bear bone with cut marks. Photo credit James Connolly. Until recently the oldest evidence we had of humans in Ireland was at Mount Sandel in County Derry, which dated the first humans in Ireland to 8000BC – the Mesolithic period. In 1903 a team of scientists discovered thousands of artefacts in Alice and Gwendoline Cave, Co Clare which included the bones of a butchered Brown Bear. For over 100 years the bones sat in a box within the Museum of Ireland until recently when Dr Marion Dowd, an archaeologist at IT Sligo, and Dr Ruth Carden, a Research Associate with the National Museum of Ireland began an analysis of the bone. 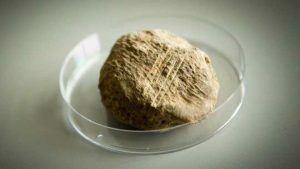 After funding from the Royal Irish Academy they were able to perform radiocarbon dating of the bone at Queen’s University Belfast which dates the knee bone to be from 10,500BC. Further examinations of the bone determined the cut marks were made on fresh bone which confirmed they were of the same date as the patella, firmly placing humans in Ireland during the Palaeolithic period. Many people believed the first settlers came from Scotland during the Mesolithic Period in Ireland but this is now disputed with the discovery of the bones from the Palaeolithic period. The Mesolithic people were primitive hunters and fishermen settling in and along the Irish coast. They would have hunted boar, fished for salmon, trout and eel in the rivers and loughs. Fruits, nuts and berries would have also been collected as part of their daily diet. Evidence of Mesolithic settlements can be found in places like Mount Sandel in County Derry, one of earliest human settlements in ancient Ireland. At around 3500 BC the Neolithic people arrived in Ireland bringing with them the skills needed for agriculture. With Ireland being a perfect location for agriculture it’s an industry that has lasted right to the current day. Today there is still evidence of Neolithic people in Ireland with sites such as the one in Belderg, County Mayo. One of the most unique things about the history of ancient Ireland is the amount of Neolithic burial sites located all over the island. 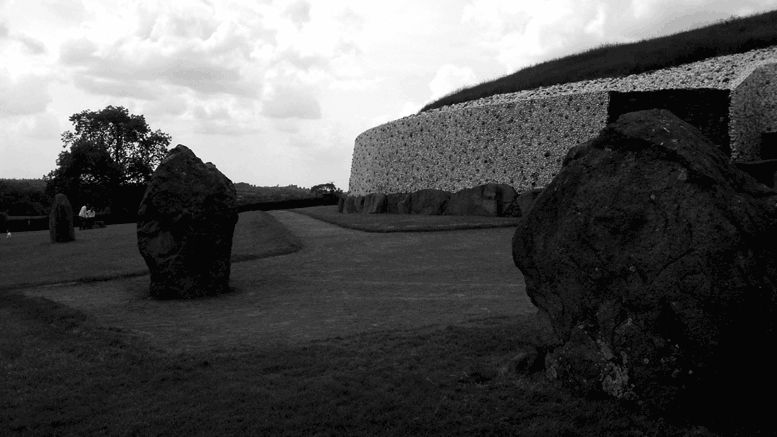 These sites vary from standing stones to the more complex burial chambers such as the passage tomb at Newgrange. The Neolithic people were highly skilled builders as evidence shows in many different sites such as the ancient passage tomb of Newgrange which is one of the finest examples. The early bronze age commenced in Ireland with the introduction of metal working, most likely using copper to manufacture tools. Evidence suggests the Bronze age people in Ireland traded overseas, Irish made copper axe heads and small tools have been found in Britain. Some of the weapons from the early bronze age (2500 – 1500BC) include axes, spearheads, daggers and halberds. Weapons would later advance to war like weapons such as swords and shields that were produced in the late Bronze Age period. Gold ornaments and beautifully design jewellery were also being produced as was decorated pottery. The Celts arrived in Ireland between 300 – 250 BC, a much disputed date. It is thought the Celts not only brought a new language but they also brought the idea of using Iron for producing weapons and tools. Although there is no direct evidence to suggest the Celts arrival in Ireland sparked the use of Iron it was most likely this took place over time. The Celts had a distinctive style of artwork that were found on various items, from swords to huge rocks used in burials. These beautiful designs have lasted the course of history in Ireland with Celtic artwork still being as popular today as it was all those years ago.